i’ve wanted dark green jeans for a while now and bought some from cheap monday, but when they arrived they are a terrible fit. they’re supposed to be ‘low rise’ but these are on another level. think i’ll put them back on ebay. i might have to invest in the topshop ones when they come into the stores. 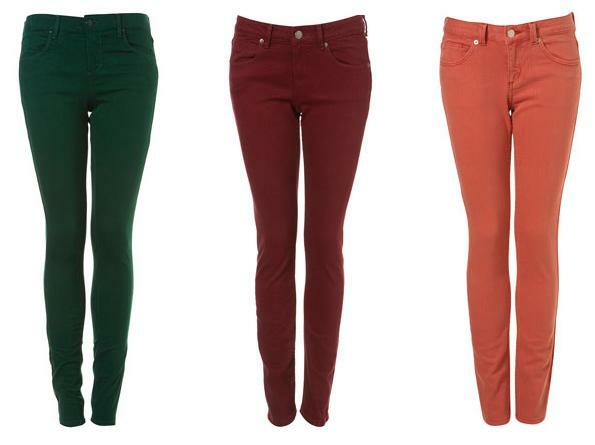 i bought the berry ones on thursday and i’m wearing them right now, they’re a lovely fit, rich colour and super soft. very comfortable!